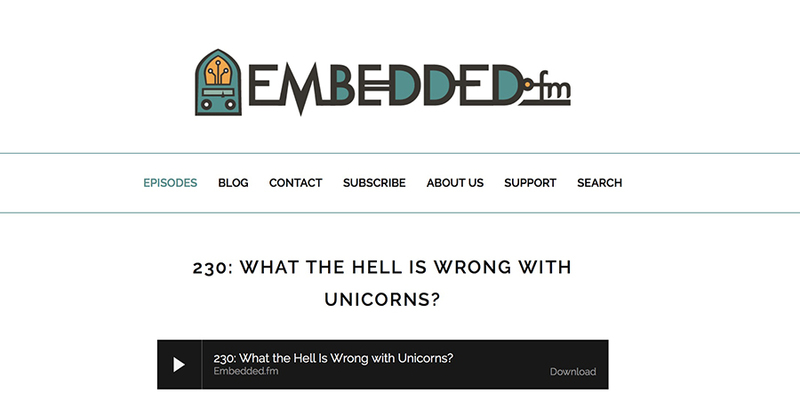 Embedded FM – What The Hell Is Wrong With Unicorns? I was invited to a conversation with Elecia and Christopher White about the Roland Boutique/Studio Electronics SE-02, manual writing, and what the hell is wrong with unicorns. I loved this conversation and really like these people. “I am performing live because that’s what I seem to have been born to do. It’s what I love, and it’s also a huge piece of how I prepare music for recording. The music evolves and grows as I experience it over the course of 40-50 shows. By the time I get home in August, I will be ready to record it — finishing this album of work, and start writing new ideas for the next tour. I am DJ’ing as well on this tour because I am also a DJ. And I felt that since I was arriving somewhere on the ground, that I would be able to stick around and hang out. Usually when you fly in and fly out, there’s time for a chill in the hotel, but really I’m there for the gig and that’s it. 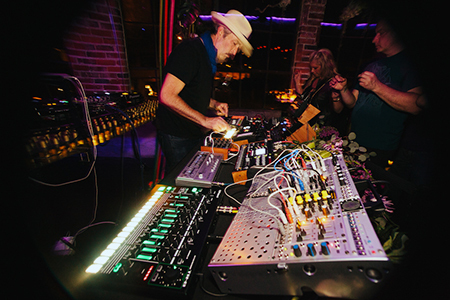 This [tour] is amazing — I arrive a day before, hang out, relax, host a seminar, meet the community’s electronic musicians and see the local modular boutique. 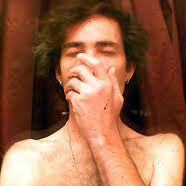 Then I mix some records with friends and we dance, and then I play a live set — it’s really blown my expectations away. I really didn’t know what to expect, but this has far exceeded whatever I was thinking before I left. And finally, the seminar is something I’ve always done. But because of the new look at live performance, improvisational sequencing, arrangement and execution of these patterns and rhythms, I felt it was time to open myself up to hopefully inspire people to finally grab sequencers and synthesizers and start making music for themselves. These have proven to be such meaningful get-togethers. I’ve loved every single one of them. 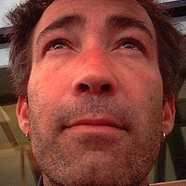 Each one is different, and I always come away totally connected and inspired. I am sure you’ve seen a lot happen in the industry since you got your start – trends come and go, this music’s popularity has waxed and waned (almost cyclically), and technologies have evolved. What are some of most surprising changes you’ve seen since you got your start back with Dubtribe Sound System? In anticipation of the third summer running of their weekly Wednesday evening dance party, launching June 22 on the Money Loft rooftop, Paradise Sunset Sessions hosted a little pre-launch soiree last Saturday. Featuring a live set from one of their favorite out of town headliners—San Fransisco’s house and techno sorcerer, Sunshine Jones—it certainly felt like summer inside Monkey Loft between the gorgeous tropical decor and the rising heat emanating from the dancers. Local support was provided by Riz & Rob (as in KEXP’s Riz Rollins and his husband Rob Green), the illustrious Wesley Holmes, and Paradise’s lovely resident DJs, Xan Lucero and Mikey Mars. Host Sylwia Jarosz could be found bopping around the crowd dolling out doses of warmth and affection to everyone in her path. It was a very communal affair, and the excitement for warm weather and the outdoor dance parties to come was palpable. Raves and the History of Electronic Music, featuring Sunshine Jones of Dubtribe Sound System and comics Ari Shaffir (This is Not Happening), Phoebe Robinson (Two Dope Queens) and Chris Cubas (@midnight) with special guests Drennon Davis and DJ Real. This one is really special. A magical talk about the history of dance music and rave culture along with the origin story of Moshe’s name. They trace dance music’s disco childhood and ecstasy-addled adolescence all the way to its current dubstep old age. Which Moshe invented. Wait for it, it will make sense later. PLUR to all listeners. I’ve been meaning to sink my teeth into this one for a while. 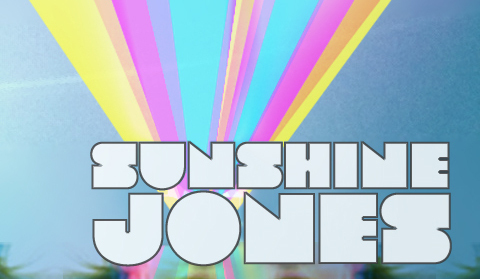 The first few mixes are hard and dark, and that’s going to turn a few people away, but you should know better than to give just a cursory listen to anything with Sunshine Jones’ name on it. Sunshine is one of my favorite people on the scene today, and I’ve said that before but I don’t think I’ve ever said why. Every day I hear promos and pitches from people who all seem to dress alike and do their damned best to sound alike, too. 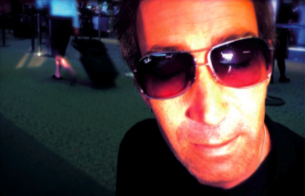 It’s enough to make you wonder if there’s anything authentic left – in the ruins of the music industry, just something that isn’t trying to separate you from your credit card in a series of $1.99 transactions for music created with all of the soul of a model airplane kit. Do you know anyone that has to do something, whether it’s painting, writing, making music – even if there’s no one to see, write or listen to it? 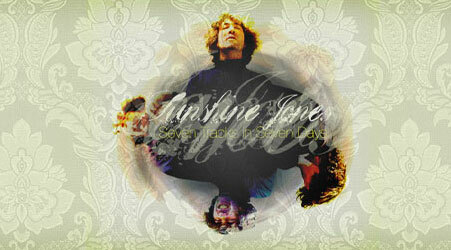 Those people are sadly in short supply these days, but Sunshine Jones is one of them. What he does here (and with a song titled “Peak Time,” no less) is throttle those harder and darker originals back into a chill funk-tinged anthem. This isn’t for every room in the House, for sure, but I’m concerned that the Deep House folks that should be picking this one up won’t hear it. There’s a serpentine, utterly dancable groove which separates this from a lot of the AM radio fare that characterizes the “lounge” style today. Use this to navigate your way into Afro sounds, or in a transition to just about anything at all – It’ll work. Recently Sunshine Jones had a chance to talk with writer Terry Matthews about house music, current events, the distant past, and how we see the possibilities of the future. The result is this month’s 5 Magazine cover interview. We couldn’t be more delighted with this article, and it stands as the best interview we’ve seen of Sunshine to date (and that’s really saying something.) This interview plus last year’s Blues and Soul five star review of ‘Seven Tracks in Seven Days’ give us hope, and give us courage. Thank you. 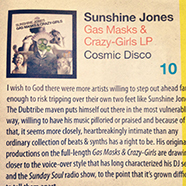 Sunshine Jones appeared as the featured artist in Ritmi & Black Magazine’s Trax column by Christian Zingales. 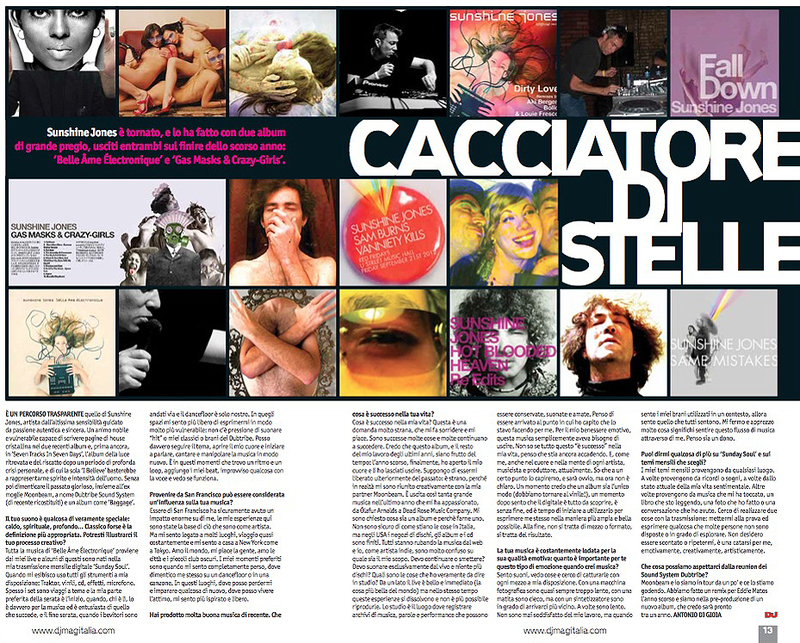 We speak French, English, Spanish, a tiny bit of Arabic and African, but we don’t speak Italian, so no one here has any idea what this article says, but it’s it cool to appear in an Italian magazine?